It's official: MAC Cosmetics can be addictive. They can also empty your wallet in record time. So where can you find cheap MAC makeup? Why, the internet, of course! Considering the competition and their reputation, MAC Cosmetics are reasonably priced. A tube of MAC lipglass costs $14; a tube of Yves Saint Laurent lipgloss costs twice as much! Still, there are plenty of bargains out there for the discerning consumer. NIB - New In Box. Or, Nordic Investment Bank. But probably not. Also search for "unopened" and "unused." Any reputable seller will not sell used cosmetics, but check the reputation and rating of each individual seller before making a bid. 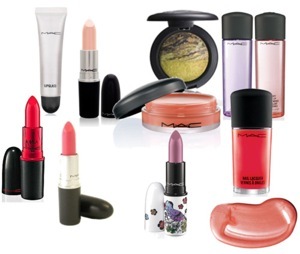 All Cosmetics Wholesale has a large selection of discounted MAC makeup, as well as discontinued shades. Cosmetics Discounter has a few MAC products for sale. Stars Makeup Haven sells MAC cosmetic samples, and other high-end cosmetics, at a discount. Also see MAC Cosmetics Wholesaler, which ships from China, allowing you to get a lower price on the same product as sold in the US. Also check out ioffer's large selection of cheap MAC makeup. If you're still unsure what to do, there's always another option––ask! Go to your local Macy's, Bloomingdale's or other store that sells MAC, and ask one of the staff if they have any overstock. If you have a fashion or beauty blog, print up some business cards and give one to a salesperson, saying that you love MAC and would like to test any new products to give them some publicity. A win-win situation! You can also work for MAC, if you're really committed. In many stores, you don't even need a cosmetology license.